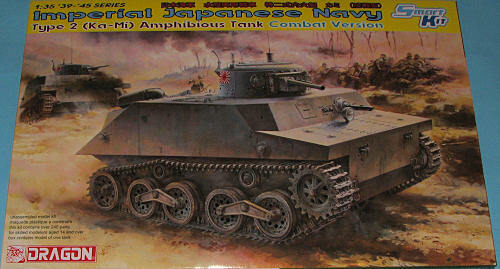 Like most nations, the Japanese developed an amphibious tank, specifically the “Ka-Mi” amphibious tank. This vehicle was the first amphibious tank used by the Imperial Japanese Navy (IJN), and it was closely based on the Type 95 “Ha-Go” light tank. It was designed for Japanese landing forces performing amphibious invasions of Pacific islands that didn’t have regular port facilities. Production commenced in 1942 and a total of 184 Type 2 amphibious tanks were made, although the design was really too late to participate in Japan’s island-hopping campaign. When used in water, large pontoons were attached to the glacis plate and rear deck to give it a top speed of 10km/h. These pontoons could be shed as soon as it reached land. The turret featured a 3.7cm Type 1 gun and a coaxial Type 97 machine gun. Always nice to see something a bit different from the norm and it seems that Dragon has done more of these sorts of subjects than most. In fact, it is nice to see Dragon doing Japanese subjects as there are not many around. This is a completely new tool and the molding is everything we have come to expect from Dragon with crisp, clean detail. It is also not very parts intensive as armor kits go with only about 240 parts. Dragon has limited photo etch to an intake screen, some turret fittings and detail parts for the wheels. A set of their excellent DS tracks is included so no worries about having to piece together individual track links. The kit Is a curbside, but has a number of fittings for the inside of the hull as well as a very nicely detailed main gun and machine gun. Options are minimal but include the ability to do an early or late build and to have the turret hatch open or closed in case you wish to mount a figure. As is usual with Dragon kits, color information is provided by Gunze and Model Master paint references. There are markings for a number of vehicles. One is the box art tank with the flag on the turret from the 5th Naval Ground Base Guard on Saipan in June 1944. The other provides different turret numbers for the 27th Naval Special Ground Base Guard in Aitape during July 1944. 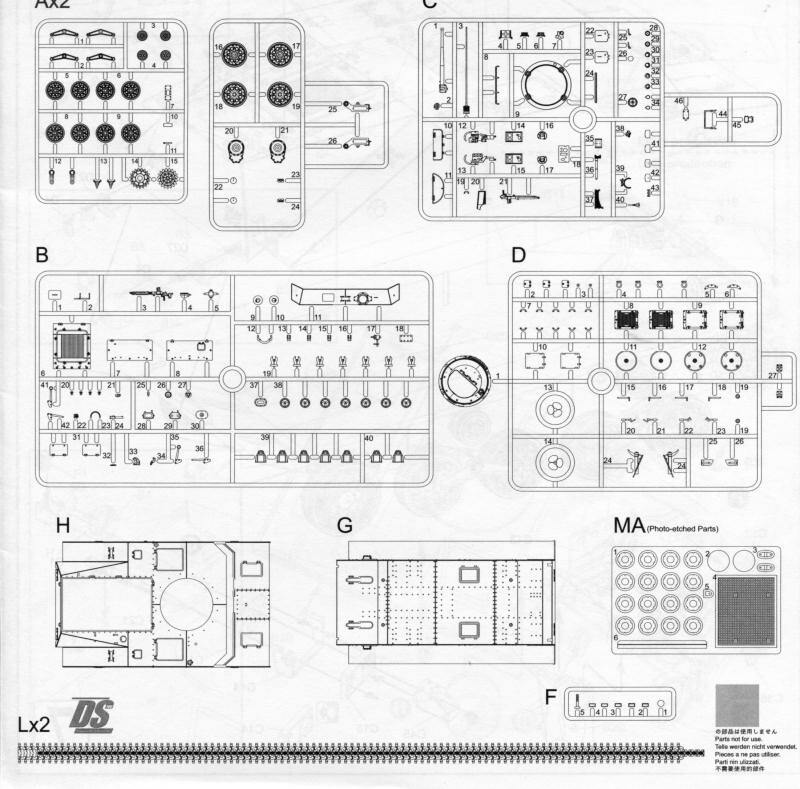 In all, a most welcome kit and something that will be a bit of a relief from all the Shermans and Germans that now seem to dominate armor kits. Wikipedia was a big help on this.